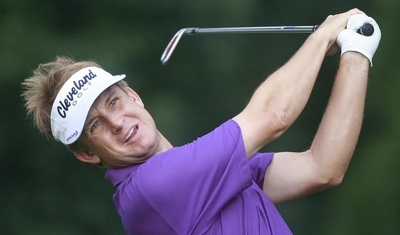 Shreveport resident David Toms has established himself as a major force on the PGA Tour. This former Airline High School and LSU star turned professional in 1989 and has scored an impressive number of victories, including his win at the 2001 PGA Championship. His ace on the par-three 15th hole provided one of the tournament’s most memorable moments. In 2002 Toms made his first appearance as a member of the Ryder Cup Team and led the U.S. squad with a 3-1-1 record, which included a win over Sergio Garcia. His career earnings have surpassed $14 million. 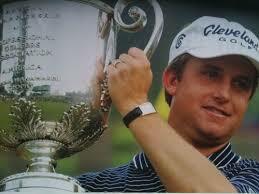 Born in Monroe, Louisiana, Toms took up golf at an early age. Both his parents played, so he says he followed in their footsteps. He earned his PGA Tour card in 1991 after an outstanding college career in which he was First-team All-American in 1988-89 and was named Southeastern Conference Player of the Year. When he’s not on the golf course, Toms likes to hunt, fish, and watch LSU athletics. He and his wife Sonya have one son, Carter.